The cartoon members of Gorillaz aren’t actually gorillas, but it seems like they might soon have something in common with The Monkees. 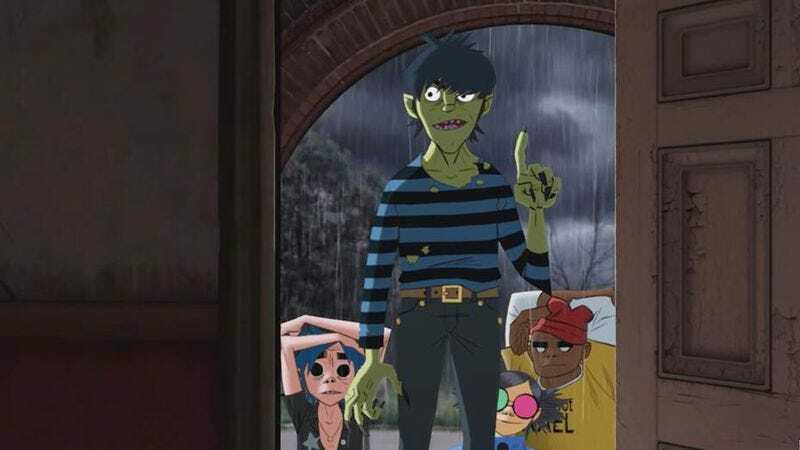 Apparently, band co-creator Jamie Hewlett has been working on a 10-episode TV show about the group, and though we don’t know much beyond that, we do know that Hewlett and fellow Gorillaz mastermind Damon Albarn have been dramatically ramping up the band’s mythology in anticipation of the new album Humanz. This information comes from an interview with Q Magazine (via Fact Magazine), during which Hewlett also teases that he’s working on “new artwork, tour merchandise, a clothing line, and visuals” to go with the band’s resurgence. Elsewhere in the chat, Albarn reveals that Sade, Morrissey, and Dionne Warwick turned down offers to collaborate on Humanz, and he says the album itself is sort of about Donald Trump—though it’s more about “a world in which he could get elected” than a direct political statement. You can check out Q Magazine for more information about this TV project and other background details about Humanz.